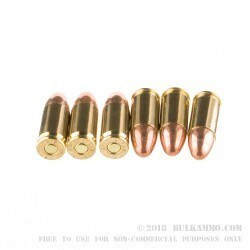 These 9mm subsonic rounds are perfect for use with a suppressor, target practice at the range, or for tactical training purposes. They have an impressive muzzle velocity of 951 feet per second and a muzzle energy of 317-foot pounds. These projectiles have a grain weight of 158 grains, which results in these FMJ bullets having a higher impact on the target with no expansion. 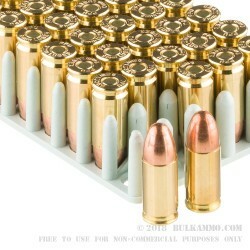 The non-corrosive, boxer primed brass case is also re-loadable. 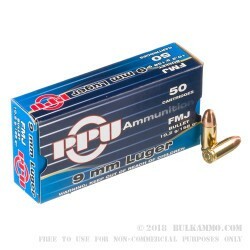 Extremely accurate and economically priced, the Prvi Partizan 9mm Luger ammunition is packaged in boxes of 50 rounds. Pick up some of this remarkable ammo today and you will not be disappointed. Georg Luger is the original designer of the 9mm cartridge. It began production in 1902, started its service in WWI, and is still the most popular handgun and military submachinegun round, to this day. Serbian ammunition manufacturer Prvi Partizan is quickly becoming a household name in the ammo industry. Their goal has always been to make quality products that are significantly reliable, safe and satisfying to the customer. The PPU 9mm FMJ (Full Metal Jacket) is no exception.